Two of my daughters have very dry skin. One of them is almost symptom-free during the summer, but when winter sets in, her legs, in particular, are so itchy that she often scratches them raw. The other daughter has dry skin with occasional flare-ups of eczema. When I began making soap, I developed recipes with highly emollient properties — triple-butter soaps with a high superfat — with my own kids' needs in mind. Using homemade soap, which is much less harsh than commercial "detergent bars," helped somewhat. I actually dabbled in making lotions many years before I started making soap. These were simple preparations of my own invention, which were just oil-and-water emulsions, using liquid lecithin as the emulsifier. I now consider it a minor miracle that they didn't separate. They did not contain any humectant ingredients (because I didn't know about them) or any oils with special skin benefits (because I didn't know about them either). Fortunately, I finally learned how to make a good body butter using really great ingredients by frequenting the soap and skin-care groups on Facebook, as well as by researching the properties of specialized oils and other ingredients on my own. Because I had access to so much great information, I was able to make a really great body butter that my daughter says is the best she's ever used. 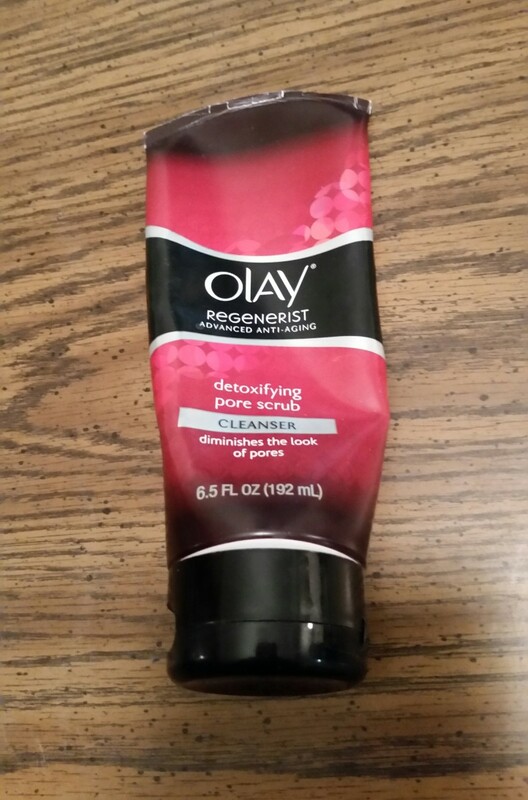 She's tried many, many products over the years, suggested by friends who were fellow-sufferers from dry skin--and some of these products were very good. When my daughter became a beekeeper, a beekeeper friend gave her his own special salve with propolis, and she loves that too. BUT.... She still says mine is the best. And I now have some repeat customers who say the same. 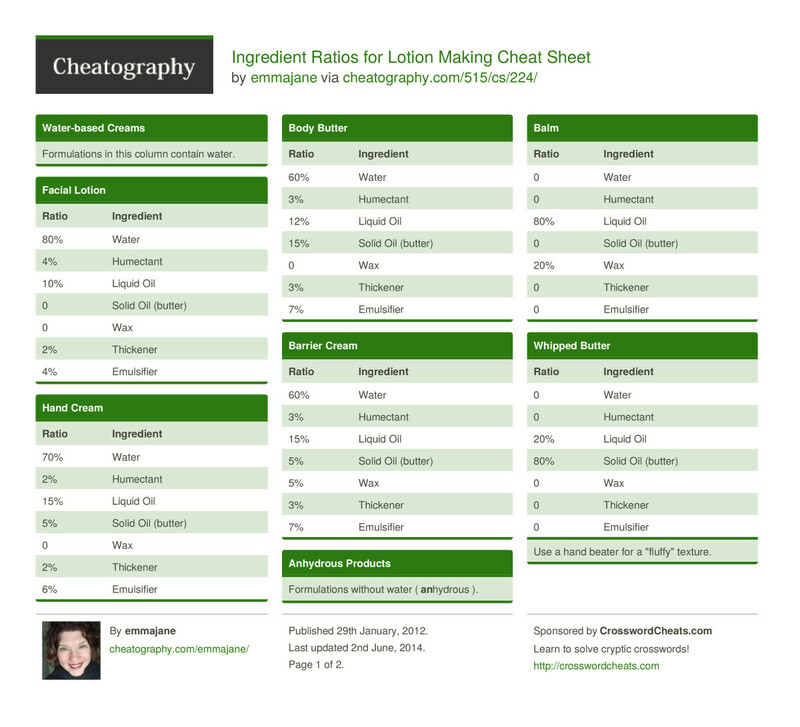 Shown below is the famous lotion and body butter cheat sheet, from https://www.cheatography.com/emmajane/cheat-sheets/ingredient-ratios-for-lotion-making/, which gives ingredient ratios for making several skin-care products. If you are new to making lotions and body butters, your first question will be, "What exactly ARE these ingredients emmajane speaks of?" A humectant is any of several ingredients that draws moisture to the skin. Glycerin is the most commonly used humectant, but some others are Honeyquat and sodium lactate. Liquid oils can be anything you want in the way of oils that are liquid at room temperature. You can use ordinary canola oil, sunflower oil, or olive oil from the grocery store, or fancier oils from the health-food store, such as hemp oil or grapeseed oil. Or you could choose still fancier oils like perilla oil, rosehip seed oil, black cumin seed oil, and tamanu oil, which are available from online suppliers such as Brambleberry, Lotioncrafter, and New Directions Aromatics. Solid oils are oils that are solid at room temperature. 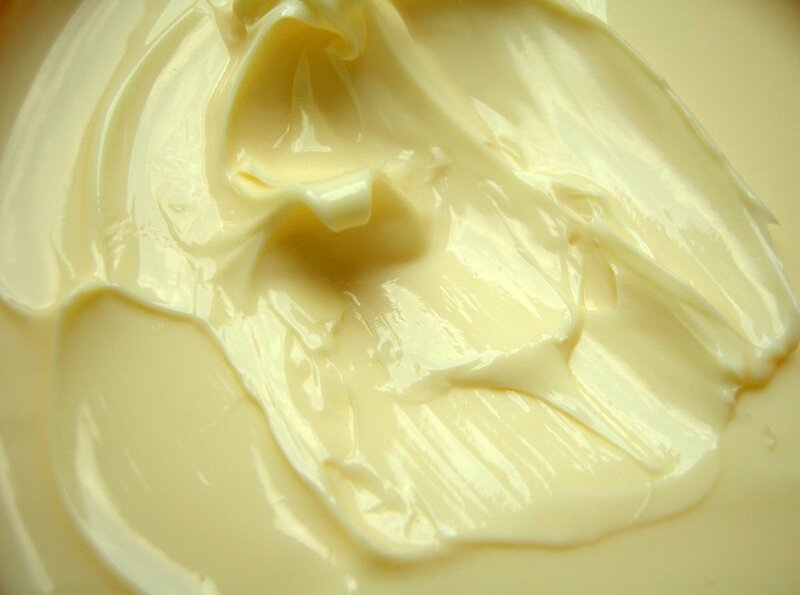 You could use lard or tallow, but what people usually use in lotions and body butters are mango butter, cocoa butter, or shea butter. It's worth mentioning, though, that some people think lard is a very good product in skin care, since it is very similar to human sebum. If you'd like to make a simple product with what you have at hand, it's worth considering. Emulsifiers are products that allow oil and water to mix into a stable emulsion. The most commonly used emulsifier is BTMS, which can be either BTMS-50 or BTMS-25. I've used BTMS-25 in my recipe because it is more reasonably priced and is available in bulk (from Soaper's Choice). Thickeners are self-explanatory, I guess. These are products that will make lotions and body butters thicker. I use cetyl alcohol. 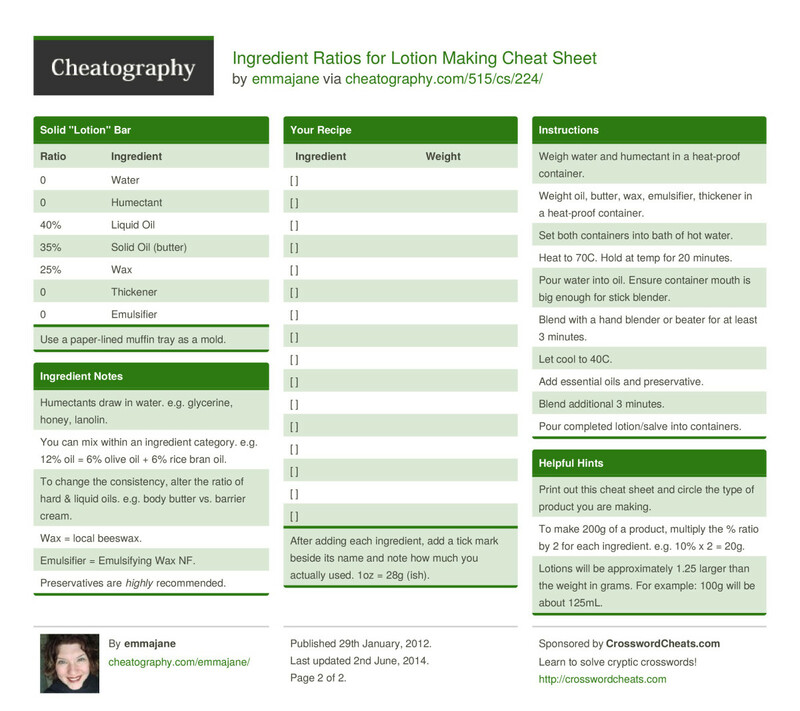 Note: This recipe is just an EXAMPLE of how to use the Cheat Sheet to develop your own product. It is probably a pretty humdrum recipe. Now remove the pans from heat and slowly add the water and glycerin to the pan of melted oils, stirring continually. Once all the water/glycerin mixture has been added, stick blend the mixture till it's blended even better. From here on out, you stick blend the mixture every ten or fifteen minutes while it cools. Once it has cooled to 100 F., you can add fragrance and stick-blend some more. This is also when you add the preservative. Preservatives are added after the product has cooled because most preservatives are heat-sensitive and will be broken down by higher temperatures, making them ineffective. 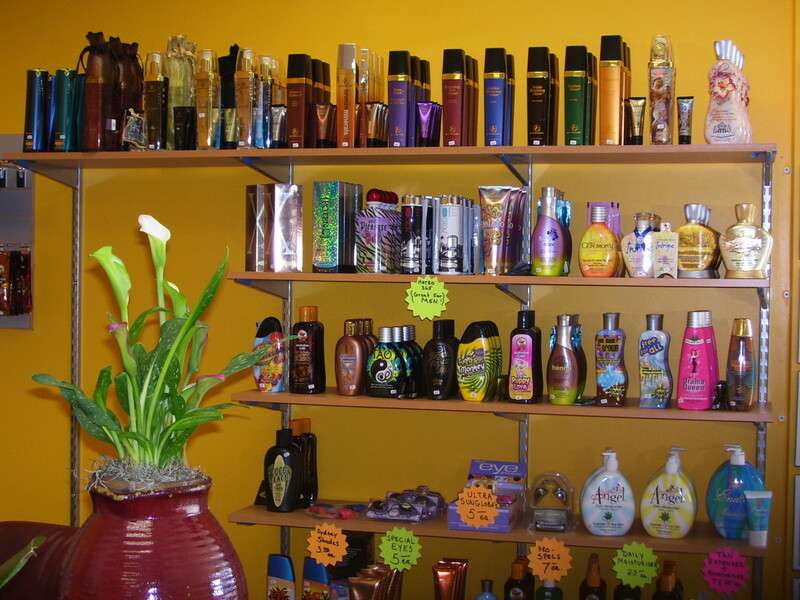 It is VERY important to use a preservative in oil-and-water emulsions like lotions and body butters. Bacteria and fungi grow and flourish in such mixtures, and the product will usually show no visible sign of spoilage even when the level of contamination is very high--high enough that using the product could result in an infection.Use a preservative, unless you plan to keep the product refrigerated and use it up within one week. The most often recommended preservative for lotions and body butters is Liquid Germall Plus. Now that you know those basics, we are ready to move on to more basics. 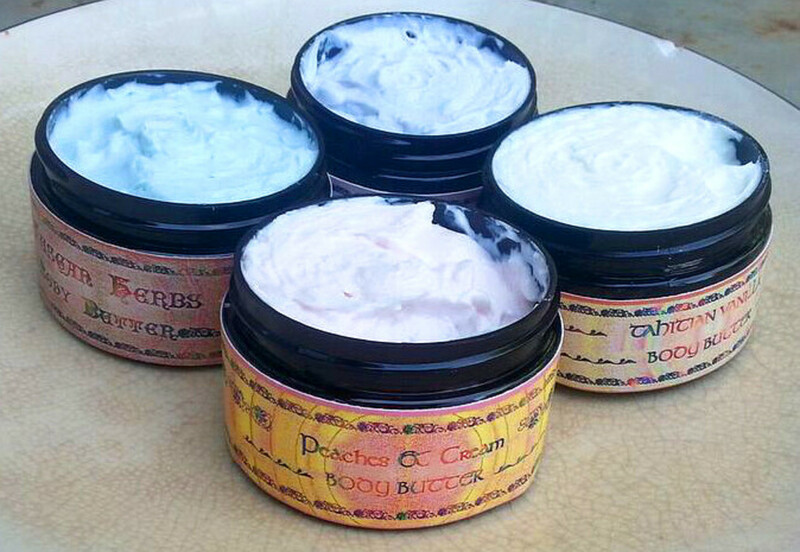 As I already mentioned lotions and body butters are germ-magnets, in which it is essential to include a preservative. If you want to be sure that you are not selling germ-laden body-care products, or giving them away to your loved ones, it is important to prepare them in an antiseptic environment. Everything that touches your ingredients (and finished body butter) needs to be germ-free. How do you accomplish this? Luckily, there is no need to get out the autoclave. Preparing lotions and body butters in an antiseptic environment is what is known as "good manufacturing practices." In recipe directions this is often abbreviated to GMP. GMP is something you do because you want to make a quality product you can be proud of--proud to gift, and proud to offer for sale. What you basically have to do is fill a spray bottle with isopropyl alcohol (IPA) and, after donning your polypropylene gloves, spray and wipe down all your work surfaces with the IPA and wipe with clean paper towels. Your work surfaces will be your stove and countertop--or, in my case--a worktable covered with a plastic tablecloth. Get out your two saucepans and spray those with IPA and wipe with paper towels. Spray your gloves and rub your hands together. (You touched the pans before they were sprayed.) Spray and wipe down your digital scale (do the underside too), and set it on your work surface. Spray your gloves again. (You touched the scale before it was sprayed.) Now spray your stick blender and utensils (spoons, knives, soup ladle, rubber scrapers) and set them on the work surface. Spray your gloves again. Now you're all set to weigh out ingredients. YOU WILL ALSO NEED TO HEAT AND HOLD A SAUCEPAN OF PLAIN DISTILLED WATER. Here's why: While your water phase ingredients are heating, some water will be lost to evaporation. If you are like me, this will make you a nervous wreck. So take off your gloves and sit down and have a cigarette while everything is heating. Once the oils are melted, you can remove them from heat. It is not necessary to hold the oils at 165 F. for 20 minutes. When your water phase ingredients reach 165 F., set a timer for 20 minutes and chill--I mean, relax. After holding the water phase ingredients at 165 F. for 20 minutes, put your gloves back on a spray them with IPA. Remove the container from the heat. Weigh the water phase to find out how much water was lost to evaporation and use the water from the saucepan of plain distilled water (which you also heated and held) to replace water lost through evaporation. Now you just stick blend every 10-15 minutes while the mixture cools--being careful to put your gloves back on and spray them each time. You will want to use your disinfected rubber scraper to scrape the sides of the pan into the middle, to help mix everything evenly. The mixture will start out thin, but will be quite thick once it's cooled to 100 F.
Now weigh out your fragrance and Liquid Germall Plus in disinfected containers, add them to the mixture, and stick blend the heck out of it. You might want to do this three or four times, resting your stick blender in between, so it doesn't overheat. If you add some colorant (such as maybe a little pink mica) at this point, you will be fairly confident that everything is mixed in evenly, because you'll be able to see that the mica is evenly mixed. Leave the lids off the jars until they have cooled to room temperature, so you don't get condensation on the inside of the jar. When you're ready to cap the jars, spray your gloves with IPA again, and use a paper towel sprayed with IPA to clean up the jar rims and threads. Then cap the jars. Now your can take off your gloves and wash the jars. There is probably a lot of goop on the outsides. It's a good idea to have some system for dating your batch. You can put them all in a box with a date on it, or you could save a dated file on your computer. Even with a preservative and careful preparation, this stuff still has a shelf life. I would guess that the shelf-life is 6-12 months. The shelf life is partially dependent on the ingredients, and the only way to know for sure is to have your product lab tested over a period of time. Since few of us can afford to do that, we use a preservative and use GMP with great care. These are my finished body butters, packaged and labeled. The scents are Tahitian Vanilla (white), Peaches & Cream (pink), Tuscan Herbs (green), and Lavender (lavender). Mica colors were added to tint these. Now that we've covered the basics, I will now reveal my very own recipe. This one will drive you nuts, since it has a regular plethora of ingredients, so you may want to try the simple recipe above, or a simple recipe of your own devise before going all-in. This recipe also includes quite a few somewhat expensive ingredients, so it is really intended for people who plan on selling their product and can hence buy ingredients in bulk. But buying in bulk may also be for you, if you have many, many friends and relatives. It is customary to present lotion and body butter recipes in a format in which the various ingredients are separated into "oil phase," "water phase," and "cool-down phase." Believe it or not, this simplifies things, since you don't have to wonder which ingredient is added to what, and when. For example, Honeyquat and DL-Panthenolare heat-sensitive and so must be added to the cool-down phase, but sodium lactate is water-soluble and not heat sensitive and so goes into the water phase. If you were using a recipe that did not divide the ingredients into separate phases, you would have to look up a bunch of them online before you began, to find out whether they were water-soluble, oil-soluble, or heat sensitive. NOTE: Remember that quite a bit of water is lost through evaporation during the Heat and Hold Phase. You will need to weigh the water phase both before and after heating and holding, and add enough distilled water to compensate for the water lost through evaporation. The water you add should also be heated and held at 165 F. for 20 minutes, so you'll need to put a separate pan of water on the stove, and heat and hold it, along with the Water Phase pan. If you don't correct for water lost through evaporation, additives, fragrance, and the preservative will be present in the finished product in percentages that may be too high. Also, the finished product may be too heavy. STERILIZATION: Please ensure all equipment, containers, and utensils have been disinfected with 91% IPA BEFORE you begin. This is the most important step to prevent bacterial contamination of your batch. Since this has water any contamination will run rampant so be sure to use GMP and wear polypropylene gloves. 1) Add water & oil phase ingredients into their own containers. Heat Water Phase ingredients to 165 F. and hold for 20 minutes. Oil phase ingredients do not need to be heated and held. I melt the hard oils, let them cool, and then add the liquid oils. This way you avoid damaging the more delicate liquid oils. Don't forget to weigh the pan of water-phase ingredients before heating (make a note of the weight), and to heat and hold a few ounces of distilled water in a separate pan. 2) After Water Phase ingredients have been held for the appropriate temp/time, weigh the pan and add enough of the distilled water that you heated and held separately to bring it back up to its original weight. Then slowly incorporate your water ingredients into the oil ingredients while stirring continuously. 3) Stick blend every 10-15 minutes until mixture becomes emulsified and below 100 F.
4) Add Cool Down Phase ingredients and stick blend well to incorporate. 5) Pour into pre-sterilized containers and allow to come to room temp before capping. 6) Label, date, and cap your products when cooled to room temperature. If you are a math nerd, you will notice that this recipe doesn't conform very closely to the ingredient proportions shown on the Cheat Sheet. For starters, it is 70% water, rather than 60%. The emulsifier (BTMS-25) is about 8.8%, rather than 7%. The thickener (cetyl alcohol) is about 1.3% instead of 3%. The reason for the increased emulsifier is because I used BTMS-25 instead of BTMS-50. It is often suggested that if you make this substitution, you will need to used double the amount. What I did was just increase the amount some. If you use BTMS-50, my guess is that you should use the amount shown in the recipe, though the body butter may come out a bit thicker. The cetyl alcohol amount was decreased because of the increased amount of BTMS-25. BTMS is a pretty good thickener in its own right. Taken altogether, these amounts of cetyl alcohol and BTMS-25 would make an overly thick body butter (in that you'd have a hard time stick-blending it), but it is softened by the addition of sodium lactate. The reason for the extra water is because this mixture won't emulsify properly without 70% water. So that's the reason for that--if that makes sense. It probably doesn't, but it helps to realize that every alteration in a basic recipe will affect the end texture of the final product. The reason for the choice of soft oils and additives is given below--hopefully with enough additional information to allow you to customize your product in your own way. Want To Customize Your Product Using Oils with Special Properties? If you would like to make substitutions for the soft oils in this recipe, to customize it for your own needs or other special purposes, here is information on a wide variety of oils. This information is drawn from a variety of sources. Much of it comes from the New Directions Aromatics and Lotioncrafter websites' description of their products. One bit of valuable information the New Directions Aromatics website provides is the ABSORPTION RATES of various oils. When you are customizing a lotion or body butter, keep in mind that high amounts of slow-absorbing oils will make your product feel greasy. It's good to balance slow-absorbing oils with fast-absorbing oils (about equal amounts of each). Medium-absorbing oils don't need to be balanced. If you want a very "dry" feeling product, you could use only fast-absorbing oils, but the problem there is that the slow-absorbing, "greasy-feeling" oils (borage, flax, avocado) are often the ones that are extremely beneficial. I think it's best to just balance them. If you look through this list of oils and their properties, I hope you'll be inspired to try choosing the oils that suit your needs. To substitute other oils in the above recipe, simply make sure that the total amount of soft oils is the same. Apricot Kernel Oil The semi-oily texture makes this oil useful in massage blends. Apricot Kernel Oil is high in Vitamin A and minerals, and so if very nutritious for the skin. It is especially good for skin that is dry and irritated or prematurely aged. Apricot kernel oil is warming and moisturizing, releasing blockages in the respiratory and digestive systems. If you are looking to make a decongestant, try making a massage oil using this oil and eucalyptus or peppermint essential oils, then apply to the chest above the lungs or apply tiny amounts just under the nose (carefully avoiding the sinuses). If the bowels are blocked, apply this massage oil to the abdomen. FAST ABSORPTION RATE. Black Cumin Seed carrier oil has a high amount of Vitamin A, B, and C and minerals including potassium, copper, zinc and selenium. Also known as ‘Black Seed Oil’, Black Cumin Seed Oil has been used as all-purpose medicinal oil for centuries in Asia and Middle Eastern countries. It was especially used for treating various skin conditions. It blends well with citrus and herbaceous scents in massage blends. According to a hadith of Islam, the Prophet Mohammed said, "…the black granules (kalonji) are the remedy for all diseases except death." AVERAGE ABSORPTION RATE, slight oily feeling left on skin. Black Currant Seed is very rich in antioxidants and gamma-linolenic acid making it a highly effective anti-inflammatory agent. Studies have shown it to be a good treatment for rheumatoid arthritis. This oil is said to increase elasticity in the skin, and can be used to protect and nourish skin tissues preventing chronic skin conditions such as dermatitis and eczema. New Directions Aromatics says the absorption rate is "Typical and Characteristic of Carrier Oils." Borage Oil is well known as one of the richest sources of essential fatty acids known to man. It is the richest source of gamma linolenic acid (GLA) - up to 25%. This helps to encourage mobile joints and tissues. It is also a fantastic source for vitamins, and minerals. 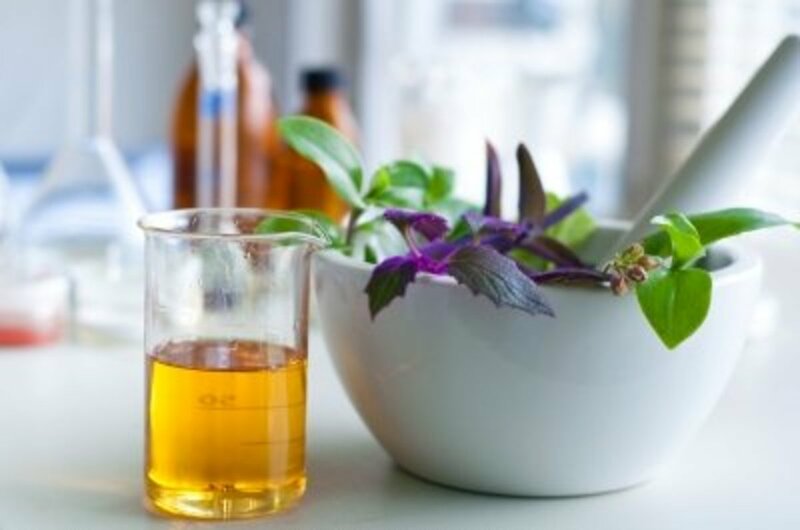 Users can apply it to both sunburned and aged skin, though because of the price and oily residue, many will use in dilution with other carrier oils. ABSORBS SLOWLY, leaves greasy feeling on skin. Broccoli Seed Oil is fast becoming the preferred oil for hair-care products, as it imparts a distinctive shine to the hair beyond that which is given by other plant oils, and has been informally referred to as a 'natural' dimethicone. Very expensive. Camellia Oil protects the skin from free radical damage, refines mature skin, and nourishes the complexion. It is easily absorbed by the skin, leaving it silky smooth without the greasy feeling, making it one of the best kept secrets in the cosmetic and hair care industry. For centuries its been used as a traditional hair conditioner and also as a treatment to strengthen brittle nails. Absorption: Camellia Seed Carrier Oil is readily absorbed into the skin leaving a smooth finish. FAST ABSORPTION RATE. Cupuacu Butter has a high capacity for water absorption. Cupuacu Butter, is prized for its rich content of; phytosterols to benefit dry, damaged skin, polyphenols to combat free radicals in the tissues, and fatty acids to protect and moisturize. It's a butter that performs like the actives, delivering true healing, and restructuring benefits, to the skin as it improves the skin's moisture barrier and offers true hydration for improved elasticity and anti-inflammatory activity. Cupuacu Butter is a good plant-based alternative to lanolin, offering the capacity to attract 240% more water allowing it to function much more effectively as a skin hydrator and plumper. Though it's not recognized as an SPF, Cupuacu Butter is well known for it's ability to absorb damaging UVA / UVB rays for natural sun protection. TIPS: Cupuacu Butter contains about 38% stearic acid. You could use it instead of stearic acid so, if your formula calls for 2% stearic acid you would use 5.27% Cupuacu Butter and you would be getting the same 2% stearic acid (2 / .38 = 5.27%) but you would be adding a host of other benefits, including skin protection and moisture. Cherry Kernel Oil contains natural antioxidants, alpha, delta and gamma tocopherols plus vitamins A & E. It also contains a polyunsaturated fatty acid called eleostearic, a conjugated linolenic acid that prevents UV absorption by forming a barrier on the surface of the skin or hair. Cherry Kernel Carrier Oil is a stable, emollient oil great for skin care products and soap making. It can be used as a light, moisturizing oil for lip balms, body butters, salt and sugar scrubs, bath or massage oils as well as soaps and shampoos. It is used in aromatherapy and by massage therapists. AVERAGE ABSORPTION RATE, slight oily feeling left on skin. Cocoa butter When mixed in to lotions and creams, Cocoa butter is very balancing and opens the heart. Lotions containing cocoa butter are very sensual, and, when combined with essential oils such as rose, can create a beautiful aphrodisiac. Evening Primrose is said to be excellent in treating many skin conditions. It is expensive and is usually blended in a small (often 10%) dilution with other carrier oils. It goes rancid quickly. Energetics: Evening Primrose oil is wonderful for the heart and the blood, and is very purifying. It is wonderful for treating symptoms of PMS and for improving sexual energies. Try combining oils that contain Evening Primrose oil with rich, sweet scents such as vanilla and Ylang Ylang for a sensuous, relaxing, and healing experience. Texture: Thin, leaves only a trace of oiliness on the skin. VERY SLOW ABSORPTION RATE. Grapeseed Oil is much used in skin care formulations for creams and lotions, and in aromatherapy. It is the preferred carrier oil for many massage therapists because of its light, satin like finish. It also has some astringent qualities and is good for oily, acne prone skin. It is the preferred carrier oil for many massage therapists because of its light, satin like finish. It also has some astringent qualities and is good for oily, acne prone skin. Very cleansing and purifying, grapeseed oil is amazing for removing toxins from the body. FAST ABSORPTION RATE. Hazelnut Oil is said to be a good choice for those with oilier skin. Hazelnut is very grounding and strengthening for the spleen and stomach. Hazelnut oil also contains tremendous amounts of nutrients that will be absorbed in to the skin. Its sweet scent and character makes it ideal to combine with vanilla or cardamom oils. VERY FAST ABSORPTION RATE. Hempseed Oil may help reduce symptoms of atopic dermatitis and other similar skin conditions due to the presence of gamma-linolenic acid and stearidonic acid. Hemp oil can do all of this because the oil goes into the cells and "lubricates" the surfaces between them. Helps to reduce the size of pores by helping to eliminate blackheads and acne. It also protects the skin from free radicals and improves elasticity. Because of its anti-inflammatory qualities, it is often recommended for to treat of psoriasis and eczema. It is made up of 80% essential fatty acids (EFAs) and is said to contain the ideal ratio of omega-6 to omega-3 EFAs, which allows it to penetrate the layers of the skin. Hemp seed oil is a very dry oil. AVERAGE ABSORPTION RATE. Jojoba "Oil" is actually a wax. It is a somewhat pricier oil and is frequently blended in a small dilution (10%) with other oils. It has a very long shelf-life and is very stable. It also has absorption properties similar to our own skin, and so is not likely to block pores. Jojoba brings nutrients and life to the skin and hair and is a wonderful conditioner. AVERAGE ABSORPTION RATE. Kukui Nut Oil is excellent for dry skin, psoriasis, eczema or any severe skin condition. SLOW ABSORPTION RATE. Meadowfoam Oil contains 98% fatty acids long-chain carbon atoms. It is resistant to oxidation due to naturally occurring tocopherols, and is one of the most stable lipids known and will actually extend the shelf life of less stable ingredients. As a result, it has an extremely long shelf life. It is absorbed by hair more than other oils. Meadowfoam Oil has wonderful moisturizing and rejuvenating properties and is highly recommended for use in cosmetics and skin care products especially for its UV protection properties. It is a key ingredient in many different products such as suntan lotion, massage oils and lotions, hand/facial creams, hair and scalp products, cuticle repair cream, foundations, rouges, face powders, lip sticks, shampoos, shaving creams and various other balms. FAST ABSORPTION RATE..
Pracaxi Oil has one of the highest concentrations of behenic acid among natural products. For this reason, it is often used in hair conditioners. The native population uses it as a detangler and hair brightener, and to strengthen the shaft of the hair. A small amount in wet hair is purported to make it soft and shiny, and increases the viscosity of some natural emulsions. Rice Bran Oil is one of the best sources of tocotrienols, an antioxidant that may be much more powerful and effective than Vitamin E. It is a mild oil perfect for dry/flaky, sensitive, mature and/or delicate skin (e.g. baby). Rosehip Oil is extremely high in essential fatty acids and is known to help treat dry, irritated, weathered skin. It is also suitable for treating burns, scars and stretch marks. There are some concerns that it can aggravate acne conditions. Absorption: Rosehip Oil is considered a “drying oil” which means that it has FAST ABSORPTION RATE. Safflower Oil may be beneficial for painful inflamed joints, and applied to bruises, sprains, and painful arthritis. Safflower massage oil has great moisturizing qualities. People who are suffering from excess hair fall can find effective hair regrowth with the application of safflower oil on the hair. People who have dry, permed as well as colored hair are recommended to get a regular safflower oil massage for healthy looking hair. This odorless oil is mild and has a very light texture, and so easily absorbs into the scalp. People are also recommended the use of safflower oil for acne treatment. Application of safflower oil on the skin helps in getting rid of other skin problems like scars, wrinkles, etc., along with acne. When applied to the scalp, it acts as a vasodilator which can dilate the blood vessels, resulting in more nutrients supply to the hair follicles through blood circulation, and a healthy environment for hair regrowth. Safflower oil has been used to treat Raynaud's Syndrome. 0 comedogenic SLOW ABSORPTION RATE. Sea Buckthorn is a spiny shrub or tree with bright red or yellow berries native to Europe and the northern regions of Asia. These berries are said to be the single highest vegetal source of Vitamin C, Vitamin E, unsaturated fatty acids and essential amino acids, along with beta-carotene, which gives them their bright color. Aromatherapists use this oil in small amounts (10%) in their creams and oils. Sea Buckthorn is a fantastic ingredient in massage blends, an aromatherapy cream, facial serums, and in all types of high-end facial products. Absorbs into skin at average speed, leaving a slight oily feeling on the skin. SLOW ABSORPTION RATE. Tamanu Oil is reputed to have wondrous wound-healing properties. It is known as being a cure-all for almost every skin ailment one can think of, from acne to eczema to psoriasis. Tamanu oil can be used in skin care products as it is composed of phospholipids and glycolipids, which are natural constituents of healthy skin and are good water-binding agents. It is a powerful healer for burns, cuts, eczema, rashes and insect bites. It can be applied neat to the skin or blended with other carrier oils. Absorption: Absorbs into skin at average speed, slight oil feeling left on skin. AVERAGE TO SLOW ABSORPTION RATE. Walnut Oil is credited with being a balancing agent for the nervous system. Recommended Usage Rate: 1% - 30% to add body and viscosity to cremes & lotions. Ingredient Function: Emulsion stabilizer and opacifier. Emollient. If you want a glidy lotion for your body or face, you'll want to use cetyl alcohol. Cetyl alcohol is considered an "oil free" moisturizer. Recommended Usage Rate: 2% - 5% used in the cooling phase of formulation. Ingredient Function: Humectant/thickener/conditioning agent/antistatic agent. Excellent for use as a cationic conditioning agent to create moisturizing hair conditioners, thickeners, detanglers, anti-static and other hair care treatments, especially leave-in conditioners and hair masks, due to the extreme humectant (moisture booster and binder) properties provided. Also effective for use in other body and skin care applications, such as lotions and creams that are looking to impart long lasting, intense moisturization that resists being rinsed off. Though not appropriate for anhydrous formulations, such as lotion bars, it is well suited for water based formulas, and anionic and non-ionic surfactant systems, because lather/foam will not be reduced as typically happens with traditional conditioning agents. Melting point is about 154°. Store at below 77°. D-L Panthenol, aka Pro-Vitamin B5, is a stable lit racemic mixture of D-Panthenol and L-Panthenol. The human body readily absorbs DL-Panthenol through the skin and it rapidly converts D-Panthenol to Pantothenic Acid (Vitamin B5), a natural constituent of healthy hair and a substance present in all living cells. Only D-Panthenol is converted to Vitamin B5 and not the L-Panthenol. So the racemic D,L-Panthenol has only half of the physiological activity of D-Panthenol in skin care. Here is a list of other additives I have not used in a final product--just experimentally that I think might be useful in formulating your own product. This much talked about product, together with all other glycols and glycerol, is a humectant or humidifying agent, solvent and delivery ingredient used in cosmetics. Since it can penetrate the outermost layer of the skin and carry the active ingredients into deeper layers of the epidermis it is an extremely common ingredient in cosmetics and is found in a variety of products. In the cosmetic industry propylene glycol is used in very small amounts to keep products from melting or freezing in extreme temperatures and assists the active ingredients in a product to penetrate the skin. Propylene glycol further enhances the performance of Sodium PCA in absorbing and retaining moisture in the skin. It is a synthetic compound and some individuals may find that it irritates the skin if used in high concentrations. Use: Add as is to the water phase of the formulas, typical use level 1-8% in emulsions. Do you sell your body butter? Do I need Germall Plus in my whipped butter mix? If your recipe doesn't contain water and is just a mixture of butters and oils, you do not need a preservative. If there's a drop of water in it, you need a preservative. Liquid Germall Plus is a good one for this. Good luck! With all body butter and lotion recipes, the tweaking possibilities are endless! Thank you so much for your reply! I will do as you suggested. I will continue to tweak the recipe till I get the desired consistency. I don't know what might have caused the waxy feeling. I have made changes in this recipe over time, but none of them were in the amount of stearic acid. I am assuming that you replaced the cetyl alcohol with an equal amount of stearic acid. One reason my recipe includes cetyl alcohol is because it is usually considered better to use BTMS-50, rather than BTMS-25, since BTMS-50 is more stable. The main difference between the two is that BTMS-50 contains cetyl alcohol. (The only other difference is there is a small amount of moisturizer in BTMS-50--I forget what it is.) So I included cetyl alcohol to give the body butter the level of stability you would get with BTMS-50. As far as absorption goes, I've always found my product satisfactory. I don't expect it to absorb instantly, though it does absorb fairly quickly without feeling greasy. I also have never noticed a "draggy" feeling. 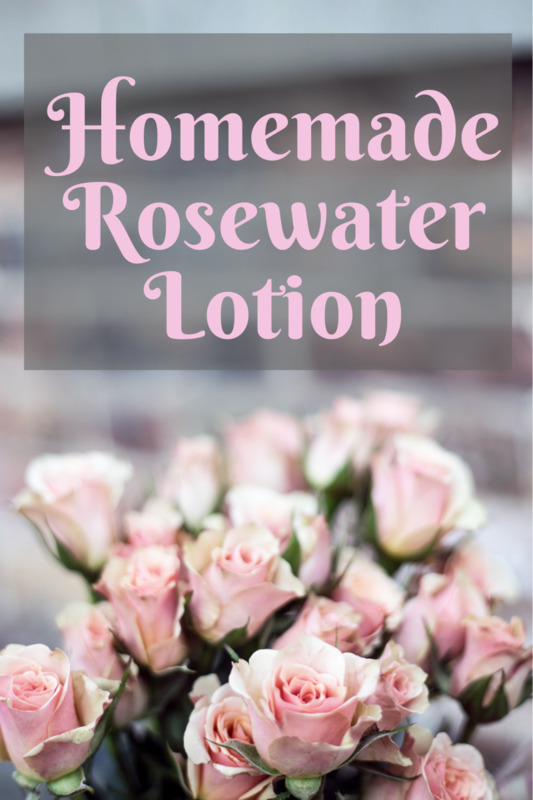 The last time a I made a batch of this body butter, I added two more ounces of glycerin, 4 ounces of Aloe Vera, and 1 1/2 more ounces of SL--which added 7 1/2 ounces of liquid to the water phase. I also added one ounce of meadowfoam oil. These additions changed the texture quite a bit, making it much "lighter." At first I wasn't sure I liked it, but now I think it's an improvement. DL-Panthenol is nice, but should not change the texture. Basically I guess I'm saying I don't know if stearic acid is the culprit. But you might try increasing the liquids in the water phase a little. (I'd be scared to increase it more than I already did.) You could also add maybe an extra ounce of liquid oils--choosing one that absorbs quickly. You could increase the water phase by adding aloe vera or a hydrosol, or just by adding more distilled water. I think the extra SL and glycerin were a good idea too. I followed this recipe. I felt that the recipe did not glide smoothly into the skin rather, I had to rub it a couple of times until it fully absorbed. I did not have the DL panthenol on me so I omitted this. For the thickener , I used stearic acid. Do you think that the stearic acid gave this butter a more waxy feel, rather than the silky feel that I was aiming at? To be honest, BTMS-50 is usually preferred over BTMS-25. BTMS-50 is about 50% BTMS and (I forget the exact percentage) most of the rest of it is Cetyl Alcohol. A small remaining percentage is a moisturizer. I forget what moisturizer it is. Details will be found on the suppliers MSDS data sheet. BTMS-25 is 25% BTMS and 75% Cetearyl Alcohol. Anyway, the skinny on this is that BTMS-50 is better because: 1. It contains a higher percentage of BTMS, 2. Cetyl Alcohol has skin benefits in its own right, and 3. The inclusion of a moisturizer is good. BTMS-25, on the other hand, has only 25% BTMS, and Cetearyl Alcohol, as far as I can find out, has no particular skin benefits. One of Swiftcraftymonkey's blogs talks using this combination of ingredients to kind of re-create BTMS-50. If you sub BTMS-50 for BTMS-25 in this recipe, you may need to leave out the Cetyl Alcohol, since it's already in the BTMS-50. You may also need to cut the BTMS amount in half. Cetyl Alcohol is a thickener. Too much could make your product too thick. I am not sure what you'll come out with if you do this. If you want to evaluate how such a substitution will likely work out, see how these substitutions plug in to the "Lotion and Body Butter Cheat Sheet." Results can sometimes be not quite what you expected even when you use the Cheat Sheet. Thank you Sharon! How do you think BTMS-50 would work to sub for the 25? Mary, I may have mentioned this in the article, but I was told by someone very knowledgeable that the best things to combat dry skin are oils that contain gamma-linolenic acid (GLA). The oil that has the highest percentage of GLA is borage oil. Others with lesser amounts are evening primrose, black currant seed, and hempseed. Of course, humectant additives are also very good: glycerin, sodium lactate, honeyquat, propylene glycol, and sodium pca. 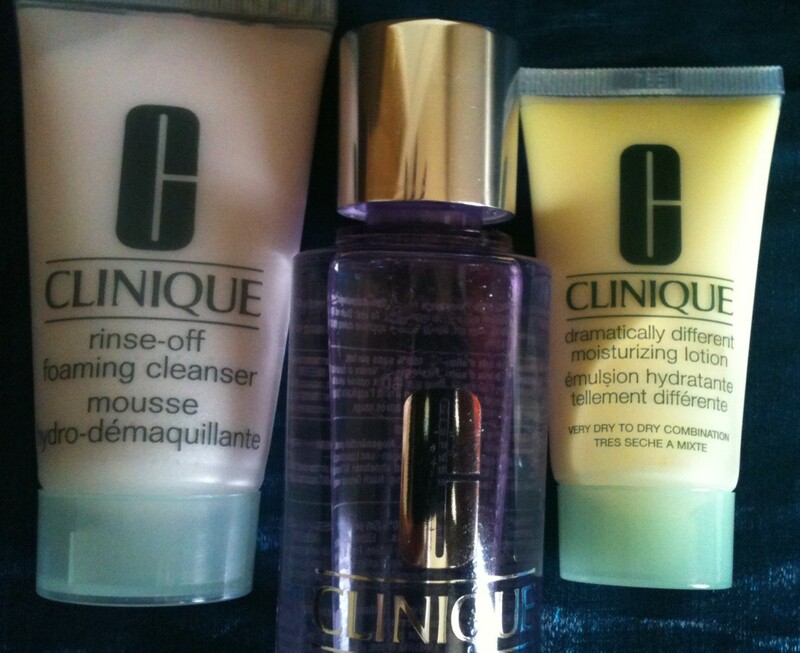 Then there are also some very spendy additives that I have not yet experimented with, such as hyaluronic acid and squalane. Someday I will have that kind of money! Thank You!!! This is an awesome collection of information with a done for me recipe. What a great collection of valuable information! Thanks, Sharon! Lisa, I think substituting aloe vera, floral teas, and hydrosols (I'd love to use rosewater) is wonderful! I will probably do this for lotions and body butters made for gifts and personal use. The main reason I use distilled water rather than rosewater or other hydrosols is the expense. (My customers would never pay for this, is my guess.) The herbal teas would be a great addition too, but I am uneasy about making these for sale because of the preservatives issue. I have the impression you could preserve them by going up to 0.5% on the Liquid Germall Plus. My GMP makes me a nervous wreck as it is--but I really must try this in the future. Mary, I did a quick search to try to find absorption rates for butters, but the only thing I can find at the moment is that mango butter absorbs more quickly than shea butter. (My guess would be that it also absorbs more quickly than cocoa butter.) That's one good reason to use it in a body butter, since most people seem to dislike a product that feels greasy. Thank you! I tried to cover everything I've learned. You've shared a wealth of information in this article! What a wonderful resource for someone who wants to make body butter. This is the first time I've heard of mango butter. Time to update myself. I also have dry skin so this is very interesting to me.